I recently used John Anderson, building contractor, to manage the repair of a very dire situation at a house that I had purchased that had undetected water, foundation, structural and safety issues. He did a very professional job in outlining the proposed course of action, managing a very large number interdependent tasks, and keeping me well informed of progress along the way. He and his partner were the light at the end of the tunnel for me, and the whole process of taking my uninhabitable house to a comfortable living space has been as satisfactory an experience as one could hope for. In terms of the task to be accomplished, I found John very honest, open, flexible and easy to work with. On a personal level, John and Heidi are both wonderful people who care about their customers and go out of their way to not only fulfill their contractual obligations, but to understand and acknowledge the emotional needs and stress associated with a situation that was very difficult to deal with. 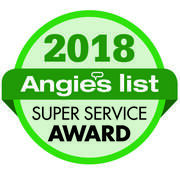 I would recommend John Anderson very highly and can honestly say that this was one of the best experiences I have had with a contractor of any type. It is not often enough that we get the chance to say good things in the property management profession about the vendors we use. John Anderson is one of those people who goes above and beyond to get the job done. He is both resourceful at solving problems and resolute in his desires to make things right. John is a vendor that I would recommend to anyone who needs the services of a professional Contractor. My wife and I want to thank John Anderson for the great job he did on our house. The job was large and I thought it would be a nightmare, as it turned out it went as John said it would. We are very pleased. John and his crew were neat and very good about not damaging anything. We have had some real nightmares with so called contractors but John was a real pleasure to work with. We would be more than glad to be used as a reference at anytime. John thanks again and feel free to give out our name and phone number if any of your future customers have any questions. I highly recommend John Anderson for both exterior renovations and replacement siding. I was impressed with John's personal attention to details and commitment to excellence, the professional manner of his crew, and the high quality of their workmanship. I am also very pleased with my new James Hardie siding. John Anderson Building Contractor repaired four dormers in our condominium complex that began leaking during the hurricane system. As condominium projects go it wasn't all that large, but we were treated as a valued customer--big or small. John Anderson gave us exceptionally good and timely service at a competitive price. This man knows his business and takes the time to listen to your questions and furnish answers--whether they be complex or simple. We are glad that his company was available when we needed his services. He is a credit to the building and re-building business. I recommend John and his company to anyone looking for an honest, diligent contractor. This job was a complete removal of cypress siding & trim that was replaced with James Hardie Siding & Trim on my 1925 vintage bungalow. I am happy with the competitive Price; Quality workmanship & crew work ethic. I had 2-Change Orders which were quickly priced and accomplished expeditiously. I would be glad to recommend John Anderson for similar projects and/or to show the work he has done here to potential customers." Finally a professional and courteous contractor that delivers as promised! I have heard all of the horror stories about the Florida contractors and their lack of work ethic. I can testify now that is not true for all contractors. With John Anderson you expect high quality service and workmanship for your money and you get it. They showed up for work daily and completed the job as promised using quality materials and skilled professional labor. What more can you ask for? A friend of ours referred us to John in connection with the total residing of our home in South Tampa. After meeting with several contractors, including two from "Angie's List", we decided to go with John. He was polite, professional and fair. He did what he said he would do when he said he would do it (something that is rare these days!) His crew left the jobsite clean. I would not hesitate to use or recommend John. John took on a job that was very important to me, and very expensive. It had to be done just right. John kept me informed of progress the whole way through, he was always accessible and returned my phone calls promptly, he explained things in terms I could understand, and he was very thorough. He did a top notch job and I am very grateful. Having served on the Board of Directors during the construction process my experience with John Anderson, his construction administration, field crew and subcontractors demonstrated the highest level of professionalism, efficiency, and effectiveness expected of these conditions and environment. Success of the project was exemplified through many avenues. Adherence to contract specifications was followed. Prudent judgments by the contractor and foreman as pertained to the essence of time and diligence of quality repair and replacement under the “percentage of repair/replacement clause” was demonstrated. Project management reporting, billing, employee conduct /respect, and on-site work flow/environmental controls were above levels usually attributed to projects of similar scope and size. The contractor emphasized employee and community work site safety and security. Most note worthy is that moving forward into the Completed Operations Maintenance Warranty Phase, the “call backs” are far lower than originally anticipated or measurable as compared to the overall cost of the project. In Summary, John Anderson Construction not only met the contractual obligations agreed upon on behalf of our Associations membership, the company took the initiative to adhere to the highest standards of moral and ethical business practices. During all phases of the project from inception to completion The John Anderson Construction Company presented a positive, courteous, willing to be flexible, professional business conduct toward membership and management. The John Anderson Construction Company would be my first choice of contractors for future projects.